This entry was posted in Food, Salads, Vegetables and tagged children, green herb sauce, kale, kale crisps, Roast cauliflower, vegetables by Anna. Bookmark the permalink. My children like romanesco – we call it ‘alien veg’ because it really looks so weird. Nearly cauliflower! I always think Romanesco is rather like the older stylish sister to Cauliflower! I’ve wanted to try roasting a cauliflower for a while now, it sounds great. Thanks Caroline, give it a go, it is so good! That’s wonderful that your daughter loves kale!! And roasted vegetable like these are so yummy 🙂 Yum! Thanks Ceara, I must say I never thought I’d see the day when she liked kale! 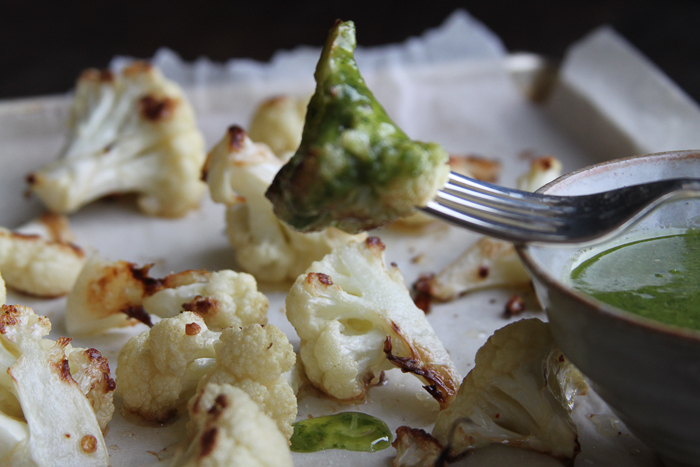 I love roast broccoli and cauliflower but dont make them enough. All vegetables seem good roast! 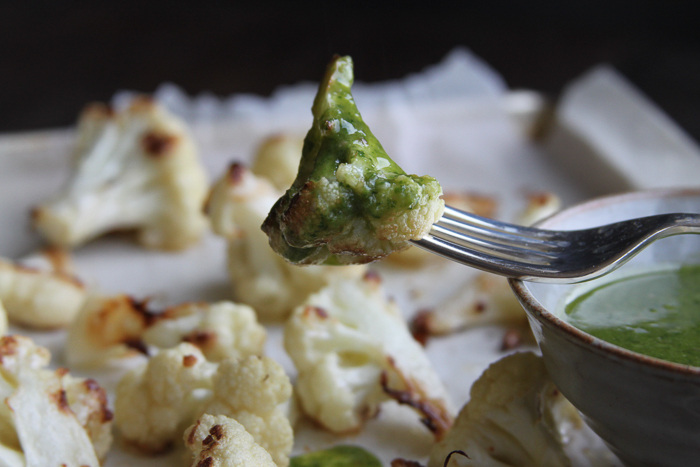 This is certainly a great way to prepare cauliflower and the sauce looks great! It is so important for our little ones to eat vegetables. I have always said to myself: “Never give up” if they don’t like something with repetition they will and I have found that this works in the end. They need to refine and develop their tastebuds which gradually get accustomed to new foods and they end up eating almost everything. Thank you Alida, so true – never give up! I would love my children to love vegetables as much as I do. 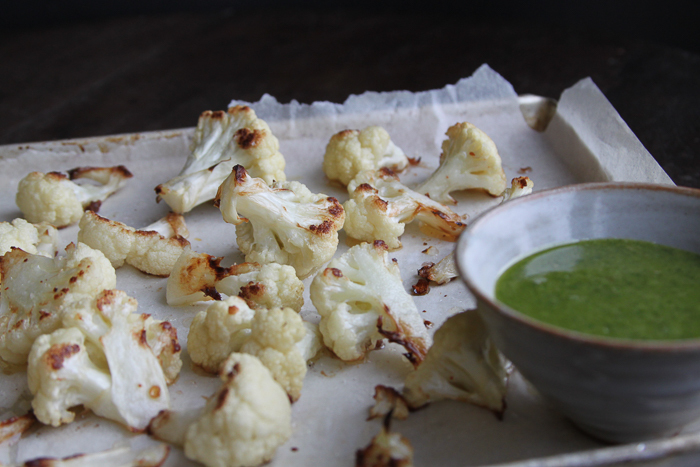 I do love roasted cauliflower and I love the look of that herby sauce which would work brilliantly with it. My kids like mots veggies but cauliflower hasn’t yet been a favourite, I will try it his way with dip and see what happens! Have a go, it is so good. Currently working on aubergine but they are really not keen on that!